Behind the Chamber 2017: Four-Note Opera | ¡VidaMaz! 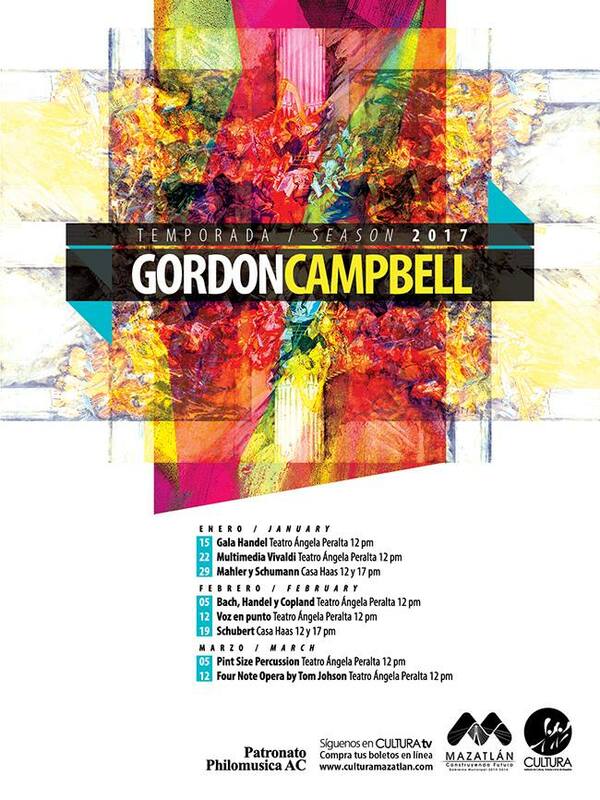 The eighth and final concert in this year’s 2017 Temporada Campbell will be held on Sunday, March 12, 2017 at noon in the Angela Peralta Theater. I interviewed Maestro Gordon Campbell and Guianeya Román in a sneak peek of the concert. To hear their “Behind the Chamber” interview about the performance click on the video below. Please note the video was created before a date change in the program; the date shown in the video is incorrect. You can purchase your tickets for specific concerts (300 pesos each) or a series pass (2000 pesos) at the Angela Peralta Theater box office—open 9am-3pm and 5-7pm—or online at CULTURA Mazatlán. Tax-deductible donations to recover costs of the Camerata and the community chorus are received by the Patronato Philomusica AC, Banco Bajio account number 14166839. Your donation is tax-deductible in Mexico and worldwide. Please help support the high caliber of arts in our community by pledging generously! To watch other Behind-the-Chamber interviews click here.